My name is Daniel Brown and I got my first pony when I was seven. It was an event that was to change my life. Since then I have progressed from ponies, through racehorses (on Epsom Downs) to heavy horses, driving, ploughing and logging. On the way I have discovered the satisfaction of passing on my experience and skills through teaching. I have been a member of the British Heavy Horse Team in the Route du Poisson (24-hour Boulogne-Paris heavy horse relay) since 1999. Since 2003 my wife Jessica has partnered me and in 2008 our eldest son, Sam, joined the team. Our Suffolks were the first of their breed to take part in the route and, with a friend’s pair, in international driving events at Lisieux. In 2012 our entire family, including Toby and Naomi, were part of the British team in the Route du Poisson. By this time our first two Suffolks, Titan and Prince, had gone to greener pastures, so we set out with our new Suffolk team – Obadiah and Marigold. Obie was a gift from some kind friends and Marigold is on loan to us from the Working Horse Trust. We were selected to represent the team in the boat pull on the beach in Boulogne, where we were assisted by Martin Clunes and we came a very respectable 4th and acheived a first and second in our two relay stages. I remember the welcome I received when I first ventured into the heavy horse world. I was younger then and heavy horses had not achieved the popularity they enjoy today. But the heavy horse community prizes continuity and it’s been great to see my children similarly welcomed and encouraged. Nothing pleases me more than to introduce a new recruit to this world and you don’t even have to have your own horse to be a valuable and valued part of the community. See our links and diary to find out more. Breaking and training horses to ride and drive. 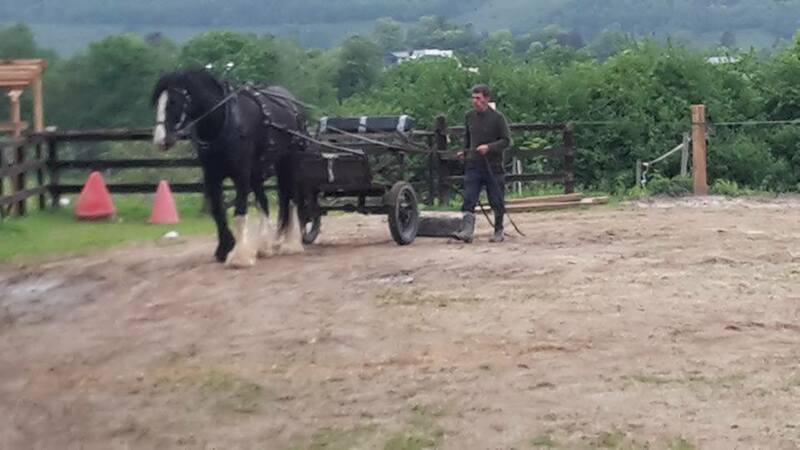 Carriage driving lessons for both group and individuals. 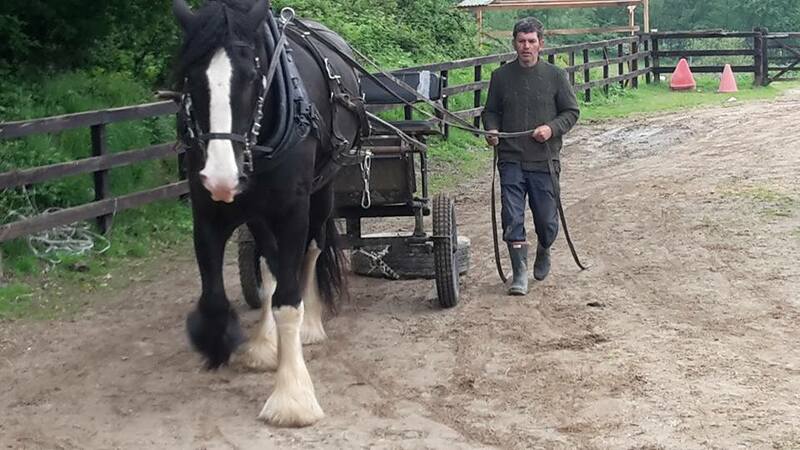 Advanced training for experienced carriage drivers, for both horse and owner. Helping to build confidence, especially when working with nervous horses and owners. Working with owners to develop their skill and ability especially when driving pairs. All of these lesson can be carried out at my yard or I will be happy to come to you. Where extensive training is needed, we are happy to arrange a livery package.